Come join Mobaloti Car Club, Sprint Motorsports, and DIY or DIE Techshop on Saturday, December 1st, 2018 for an epic car meet and car club event at DIY or DIE Techshop for Cars & Coffee & Food Event. 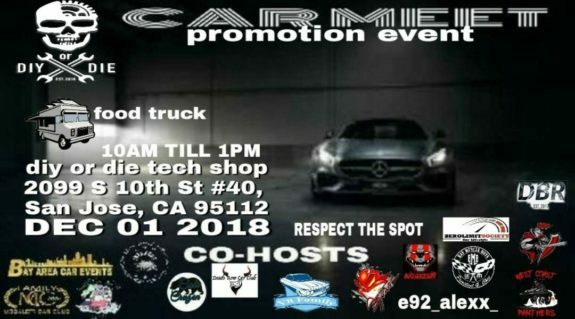 Meet great people, check out some cool cars, and have fun. While you visit, be sure to check out our host site and do-it-yourself auto shop were you can rent lifts and work bays to customize and perform repairs on your whip. DIY or DIE Techshop.